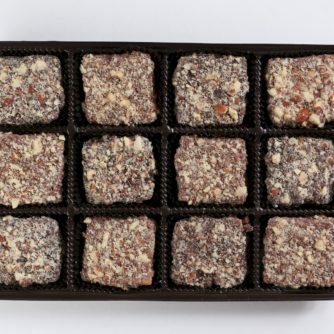 Buttercrunch, 12 Piece Box – Chocolates by Leopold, Inc.
Leopold’s signature candy made from an old German toffee recipe handed down from master confectioner to master confectioner. Covered in chocolate. 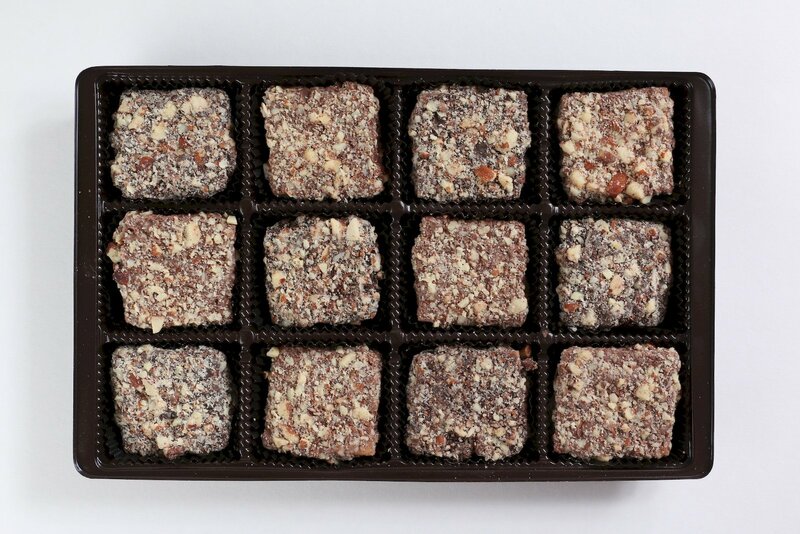 Butter roasted almonds impregnate this confection with intense flavor. 12 large pieces of toffee goodness! Gift boxed.